Despite fierce competition, the judges felt that Unity should take the overall Consultancy of the Year, one of an impressive seven gongs won in total. The award is sponsored by Ginger Comms. Founded in 2005 by Nik Govier and Gerry Hopkinson, Unity secured an eye-catching 10 nominations across eight categories in this year’s PRWeek UKAwards. This Gold award makes it seven gongs won. The agency’s decision to focus its efforts on fewer, bigger clients including Butlins, Marks & Spencer and Direct Line has paid off. The #directfix campaign with Direct Line won in the Financial Services and Best Integrated Campaign categories, and the agency showed intelligence to capitalise on that success by rolling it into the festive #merryfixmas campaign, which was a winner in Best Use of Content, while work for M&S garnered the Internal Comms category victory and Campaign of the Year: Techniques. Unity also scooped the Mid-Sized Consultancy of the Year award. The company has nonetheless continued to work with smaller clients and pro bono for charities or causes to give it ‘cultural kudos’ and keep staff interested, and reaped the rewards of its integrated offering. 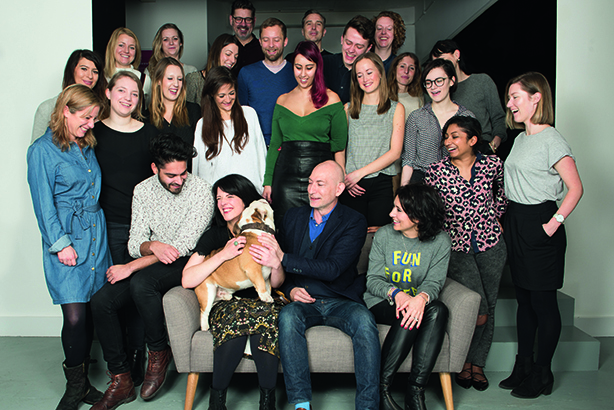 In 2015, the firm achieved 20 per cent growth and ended the year with 30 staff, ranking 75th in the PRWeek UK Top 150. Whether it chooses to go for further growth or remain at that size, it’s hard not to see a successful future for Unity.